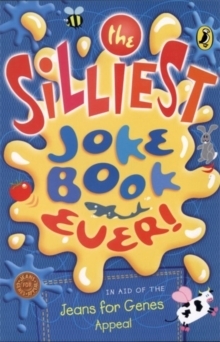 A hilarious joke book, raising money for the Jeans for Genes appealThe Silliest Joke Book Ever, from Puffin Books, is a hilariously funny book containing hundreds of jokes on every subject under the sun, as well as the favourite jokes of famous celebrities. All royalties will be going to the Jeans for Genes Appeal in association with Great Ormond Street Children's Hospital. The appeal funds research into genetic disorders in children. A Jeans for Genes Day is held every year when people are invited to wear their jeans for a GBP1 donation.